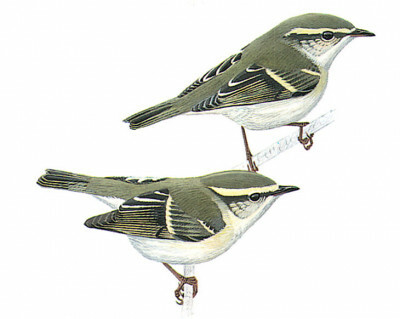 Very similar to Hume’s Leaf Warbler. Brighter green upperparts, whiter underparts, very long, pronounced, yellow-white supercilium and 2 distinct yellow-white wing bars are main differences. The base of bill is also paler.